Product prices and availability are accurate as of 2019-04-20 11:00:18 UTC and are subject to change. Any price and availability information displayed on http://www.amazon.com/ at the time of purchase will apply to the purchase of this product. 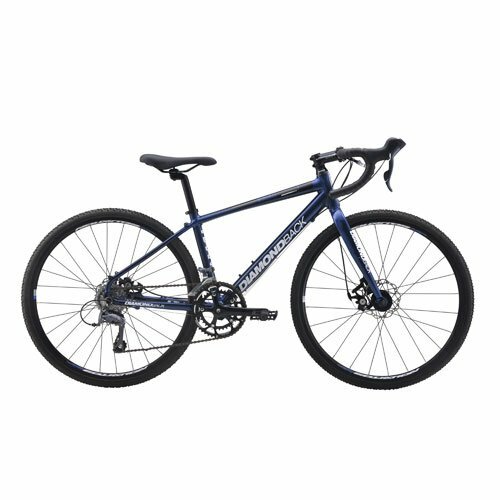 The DiamondBack Haanjo Trail 24 is the ideal for any youngster who loves to ride on the road, on hard pack trails and gravel. The Haanjo Series has been a favorite of ours for a couple of years now, and the tweaks DiamondBack has made this year make the Haanjo Trail 24 just that much better and just that much more fun for youngsters. The Haanjo's JR frame is made from 6061 T6 aluminum tubing, the alloy of choice for mid-to-high-end road and mountain bikes because it's light, can be shaped for strength, and delivers years of tough, rugged dependability because it won't corrode. A robust head tube provides excellent steering response, control, and road absorption. And the frame affords the rider a more comfortable riding position. The Haanjo Trail is equipped with some of Shimano's finest components that are built with the kind of rugged dependability you want on your youngster's gravel-grinder adventure or neighborhood adventure. Shimano Claris 8-speed components put them in control of all the gearing options they'll need no matter what kind of road they explore. An alloy crankset, with the ideal combination of 46/36T chainrings, propels the rider across pavement or trail. A Junior Equip saddle offers a comfortable supporting perch to enjoy the ride, and alloy disc-brake wheels provide a lightweight and durable set of wheels that aren't intimidated by unimproved country roads or a rough city street. The Haanjo Trail 24's excellent all-weather stopping power is thanks to the Tektro Mira mechanical system with 140mm rotors front and rear, respectively.